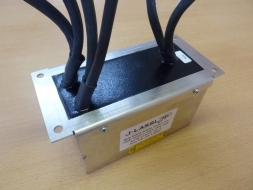 Our products are as individual as your requirements. We produce to the customer’s requirements. Always with a focus on further development and optimisation. 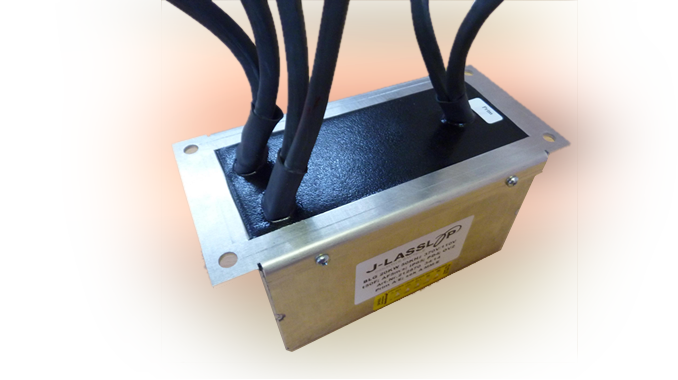 Description The transformer is used in a forced-cooled DC/DC converter full-bridge circuit. 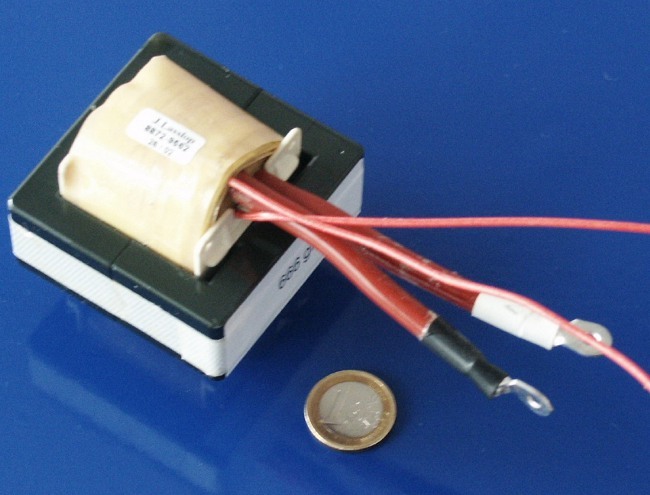 Resonant converter 35kHz. 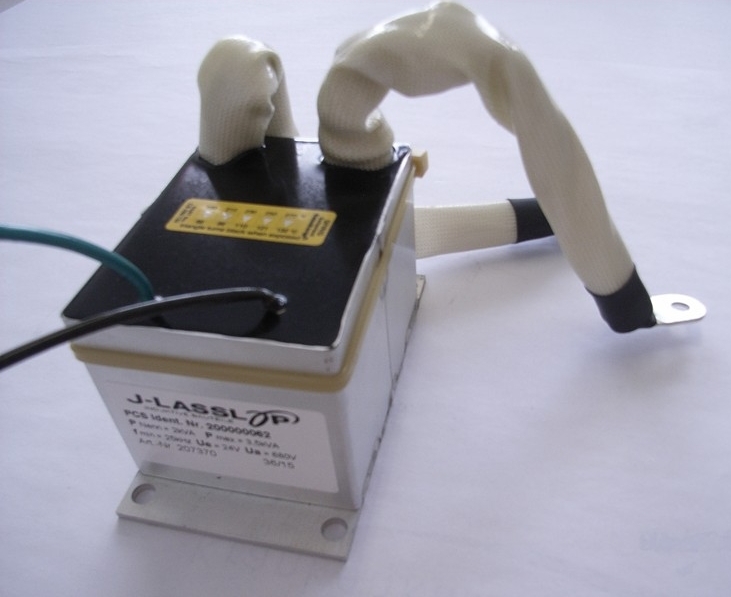 At voltages Vin <24 V, the output power is lowered proportionally to the input voltage. 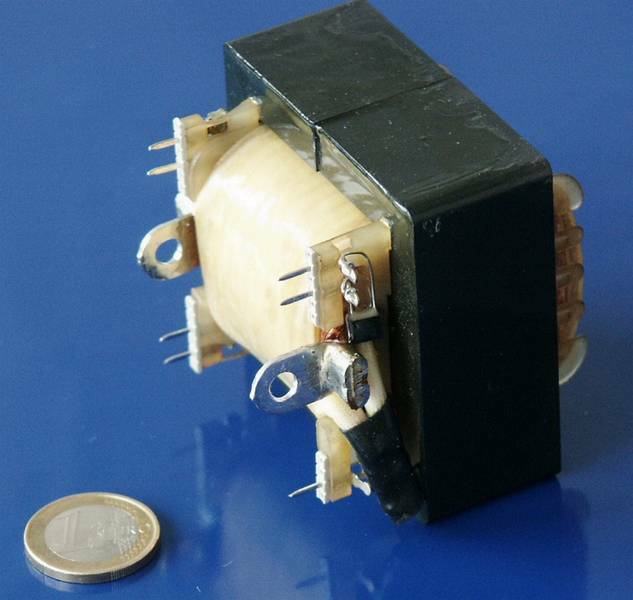 Description The primary side of the transformer works on a series resonant circuit with a frequency of more than 40 kHz (up to a maximum of approx. 60 kHz). In the operating point, this gives a rectangular bipolar voltage waveform with 500 V peak voltage and an almost sinusoidal current form with 75 A rms on the primary side (secondary side scaled in accordance with the transformation ratio). 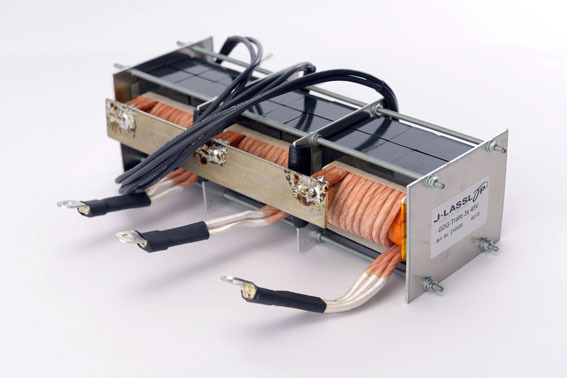 The power to be transmitted is 20 kW for a transformation ratio of 3.3:1:1 (370 V primary to 110 V secondary). 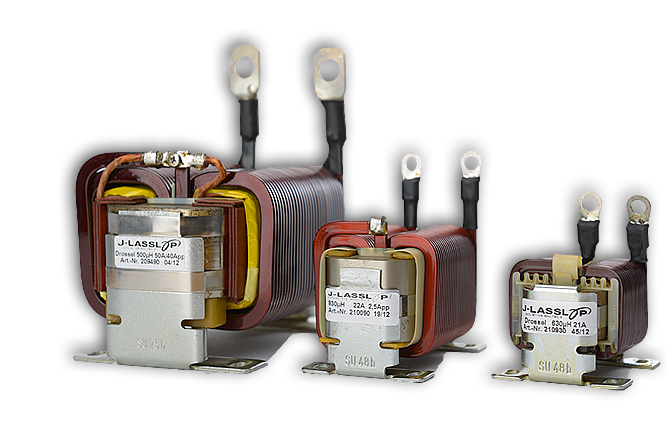 Description Power transformers in almost all designs.